People say that they've stopped visiting my blog. Because I don't update it often. So, a big 'Hi!' to all the new comers...Thank you for coming over, to visit this page. I am glad you came here. And I hope you will keep coming back. Unlike all those..... psssssssst.............those lazy, crazy, hazy people who don't appreciate that I'm a busy man, and that I have a hundred other things to do. Even if I don't update this blog. Ofcourse, you might call a lot of the things I do as crazy and hazy things. But I am certainly not lazy. Those who know me well would know that I am the type who will always end up doing more than one thing at a time. I know I bite more than I can chew. I know I accept responsibilities when I'm already loaded with others. I know I can't say easily say 'No'. But what can I do? Altering one's own personality is not an easy task. Well. among the many things I know about myself is this. 'That I "talk" a lot'. I know I go yap yap yap even though I am amidst wise company. I am trying hard to learn the fine-art of listening. But 'listening' seems like an art-form that doesn't easily come to the likes of chattering magpies (who, btw, have recently complained to my wife that I was giving them an inferiority complex). And my wife, obviously, was in complete agreement with the opinion. She is, therefore, going to hit me on the head next time, if I keep speaking in friend's parties.....she is even carrying around a large cellophane-tape to shut my mouth in emergencies. So, in the interest of my almost-bare head, and also in the interest of my moustache which would be seriously damaged in the event of a cellotape attack, I am hereby attempting to talk less. But the main reason for my wife's state of exasperation is that her repeated calls to order have gone utterly unheeded by yours truly. It is because she has already told me to control my mouth 12,448.75 times. No. You did not read it wrong. That '.75' is not an error. It was that time when I had walked out, in a huff, after 'three-fourths' of our conversation. Well, to be precise, you couldn't have called it a 'conversation'. If both of our voices were hitting decibels of a higher level during the said oral verbal communication process, would you call that 'a conversation' or 'a spat' or something else? 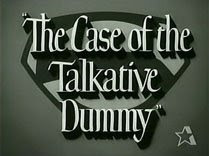 Whatever you call it, just don't call my wife about my 'talking' problems, in case I lose control when talking to you. Yes. Some have drinking problems, and some have smoking problems. But I have 'Talking' problems. Is there an organization like Talkers Anonymous, that I can join? Like those joining Alcoholics Anonymous or something, maybe I will be rehabilitated. Or my wife will throw me out of the house. And I will then be re'habitat'ed'. See????.... I think you are now getting the drift.